Now it's getting silly! I can't find anything on the roof because it's all covered in several inches of snow! If only the cafe downstairs were open and badly insulated! For the classier lilies I've collected over the last few months such as auratum and speciosum rubrum I've formulated my own compost with bark shippings meant for orchids, perlite, a bit of sandy John Innes and the bulk provided by a peat-free but identical in texture and character compost from Miracle-Gro (which also contains plenty of nutrients). The Lilies arrived from all sorts of sources in all sorts of pots or bare -root but the potted ones all came in a very open, woodland compost, hence my attempt to recreate those forest-floor characteristics (I did investigate leafmould but it comes by the tonne, not much use to me, I think that would mean the end of the roof and anything underneath! I ordered some terracotta pots from crocus.co.uk a few days ago which arrived quickly via courier but had the most ridiculous packaging (I should have photographed it). For both orders, the first of 5 pots, the biggest pot being 20cm, came a cardboard box at least 75mmx75mmx75mm! And inside were two enormous, weird non-squidgy but foamy things that had been created to fit these little pots in the middle! It took a recycling sack and two bin bags to deal with the detritus. Nice pots though! Oh, before I forget, I've ordered a lightweight strawberry planter which has a dozen planting pockets. Naturally it won't be seeing any strawberries! So the plan was to pot on some of the Lilies in smaller pots (such as the typical martagon, which had a leaf showing and it's too early for that, it was in a square 10cm pot and needed to be deeper). It took quite a bit of tracking down: all the bulbs have upside-down coir pots on them , making them look a little like Tommy Cooper but with the very important task of keeping the f***ing squirrels out of them. They've been at the Gladioli and Narcissus too but apparently Lilies are their favourite. Unless they have a blow-torch they'll go hungry at the moment. So, all set: new compost, finally located the Lilies and Nomocharis pardathina I wanted to give some room and of course the compost in the pots is frozen solid. Which makes re-potting rather easy as there is no danger of the bulb and rootball collapsing. I just knocked it out, place in the new pot at the required height and filled in around the side and top. Easy! It's odd but looking out the windows, the only things looking perfectly healthy are a Penstemon hybrid and a nice zonal, ivy leaf but upright Pelargonium which is even holding on to its orange flowers! Neither should even be alive! Perhaps that's their mistake: they stay upright and exposed until the cold eventually beats them into submission whereas things like the candelabra Primulas, which are from half-way up the Himalayas and spend winter under snow, insulated, have flopped to mush but presumably have a healthy crown just waiting for spring. 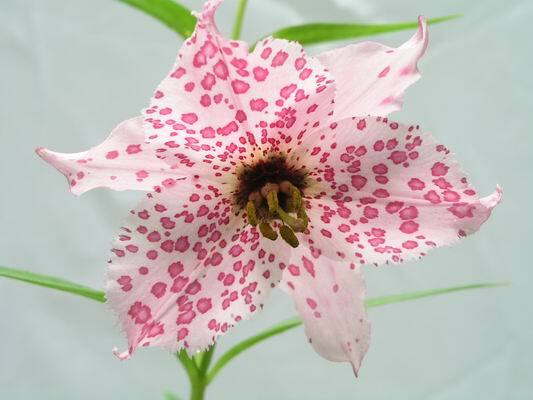 I daren't check, although as well as four mature plants I also have (had?) more than 50 seedlings. (I have no idea whether they'll make it). The white form of one of out two native Irises, pseudacorus or yellow flag (a bit boring to be honest). The other native is Iris foetidissima, a plant more famous for its aroma of roast beef than anyhting else. It also has perhaps the most underwhelming flowers of any Iris anywhere in the world. In fact I have to show you a picture now. I think this is "Citrina", the more attractive "yellow" form. Face it, it's brown. Oh, and it has red seeds. You know they're really scraping the barrel when the colour of the seeds becomes the USP. Seeds of a white form of Iris pseudacorus arrived in the post his morning along with some other goodies. A dwarf Rhododendron, "Ginny Gee", the aforementioned Lilium martagon, Lilium pardalinum, Clematis napaulensis and 10 bulbs of Leucocoryne "Andes", all of which I'd picked up on eBay for buttons. Rhododendron "Ginny Gee", a compact little pinky-apricot thing. As you can tell by the Narcissus, it's not a giant, by any means, which is just what I want. I can't find the name of the photographer but thank you, it's beautiful! I knew exactly where to plant the Clematis, in a trough with a trellis I'm using to screen the "greenhouse" from the side. I'm currently using embryonic examples of the luscious Lathyrus chlorantus, which have just put out their first tendrils so appear to be quite hardy. But it's an annual so will need back-up (although I plan to collect seed because a yellow Sweet Pea is a very special thing. The weather is reminding me of my rather cavalier attitude to hardiness, assuming the London bubble (we're a couple of degrees higher than the coutryside) will come to my aid every time. I have an order of 12 species Pelargoniums arriving in March and have just bagged 10 mixed Regal Pelargoniums for 84p each. This is to replace the Tulips and Violas in the clay pots on the windowsills. But of course we can get frost well into May. It snowed the day I was born (April) (70s). But I'll worry about that later. I also bagged some seeds of Pelargonium dolmiticum (the Carrot-leaved Pelargonium) and Pelargonium radens, the Skeleton Rose Geranium today. I've also got a rooted cutting of Pelargonium Dichondrifolium on the way very soon with another mystery friend as the vendor thought it looked a bit lonely on its own. Nice person, hope he labels it though! You can see why they call it the carrot-leaf Pelargonium! The flowers are quite attractive too and typical of many of the species Pelargoniums. 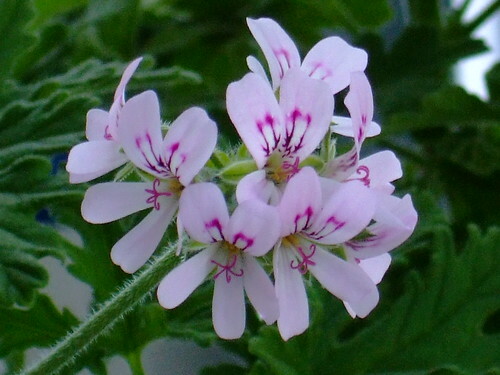 Pelargonium Radens. Nice pink flowers. The leaves probably smell of something. Speaking of the inclement conditions, the Leucocoryne "Andes" are on the brink of hardiness (-5C) although I'm assuming a pot leaves the contents more exposed (unless it's made of polysyrene). Actually maybe I should have potted them in a coir pot. They're not exactly beautiful but theoretically it would provide some degree of insulation. Ah well, it's too late now. Leucocoryne "Andes". Nice, isn't it? Nice to see London getting it whilst out in the boonies here it's not too bad really! Even my Eccromocarpus Scaber has put out new flowers today! That Nomarchis is quite stunning by the way! Add your voice to Valued Opinions and help shape the world by giving your opinion on a range of subjects and it’ll reward you for it! you’ll receive up to £5 and up to £50 for specialist opinion.No matter what your opinion .It's very easy .You can do it.If you will be happy then all will happy. 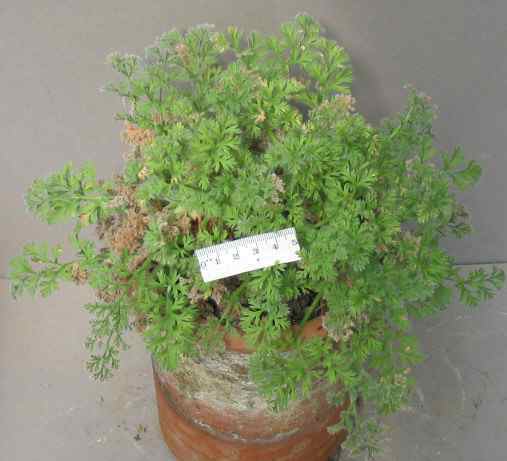 Be careful of your Pelargoniums in the greenhouse! A couple of times I've had species Pels overwintered in a proper greenhouse that looked great for most of a hard winter, then succumbed suddenly. P. radens is classed as a scented species, I believe, and rose-scented. I have P. dichondrifolium, said to be lavander-scented. If you use some imagination, it does smell lavander-ie. eBay does have some unexpected treasures, doesn't it? I've had to stop myself from looking so we can afford Christmas! That reminds me, I must go and zip up the door. I got dichon... etc today and it smelt more minty than anything but that's probably because I'd just brushed my teeth!. I'm spending a fortune on lilieson ebay, two of which I've just realised I already had under the snow! Oh well, you can never have too many lilies. I just hope I get outbid!